I’m definitely saving this one! Looks yummy. Thanks for sharing. I just wrote this one down. It looks heavenly! I can’t wait to make it. I can’t wait to try this recipe, it looks so yummy! You are just so eveil! LOL What a decadent cake. This sounds wonderful and looks so very delicious!! I have got to try it. Love your blog, dont believe Ive been here before. Visiting from SITS. Oh my! That cake looks delicious! My 14 year old daughter loves to bake. I’m going to show this to her. With any luck I’ll be eating some before the weekend is over. I’ve made something like this before, but it’s got totally different ingredients. 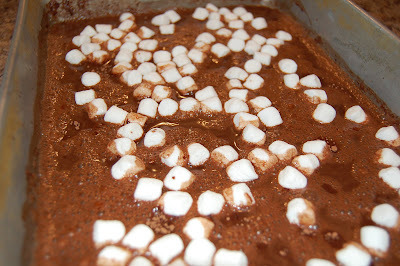 I’m curious how different it tastes with the marshmellows – they always make everything better. That looks awesome. I saw a homemade version at Southern Plate. 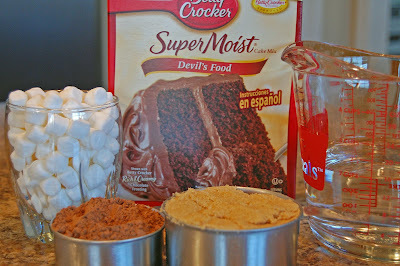 I love the use of cake mixes it simplifies the recipe. I will try this and let you know. Ohh goodness, that looks just heavenly. And dangerous! I cannot wait to try this! Yuuuuum! I am making this recipe this weekend. Thank you so much, it looks so delicious! Wow! I had to make this! 🙂 Turned out delicious, but the mini-marshmallows didn’t sink down or melt into it. Maybe i didn’t pour the cake batter in the right way? No matter, it’s still yummy! That’s strange about the marshmallows. Did you put the cake batter over them? Hmm…well, I’m glad it was good! 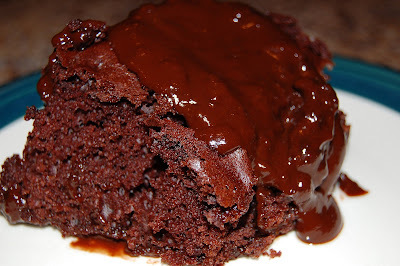 OMG..Chocolate Volcano..close enough.. My daughter just love this kind of cake. I will get her to make one. Happy Cake week, Just loving all the Recipes. Oh I am drooling now! 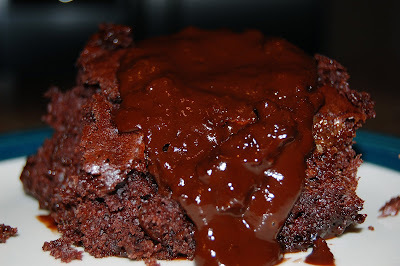 That looks so gooey and delicious! Thank you for linking it up – yum! 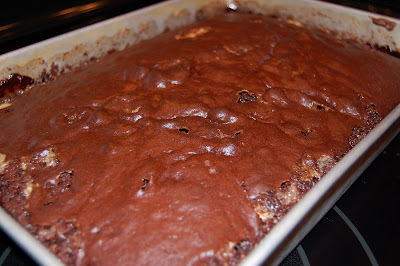 Made this tonight and boy is it YUMMY and chocolatey! Very moist! Where does the puddiing come in at. Is it mixed into the water. What size box did you use? I don’t see that step. Let me know this cake sounds so good. I can’t wait to make it. Thank you!! There isn’t actually any pudding mix in the cake. It makes it’s own pudding. Super yummy! 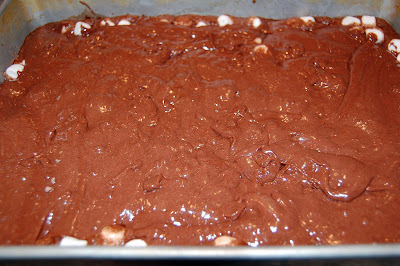 I made this cake..it’s still hot so I may need to wait till it cools but is it suppose to be runny?? The bottom…I put just what called for.. It will thicken a bit as it cools. But yes, the bottom is pudding-ish. Like chocolate sauce. No, I don’t think I greased the pan. You could spray it with cooking spray if you want, but I don’t think I ever have.